If you want your guitar to sound like blues legend Skip James, you need to tune your guitar to E-minor. 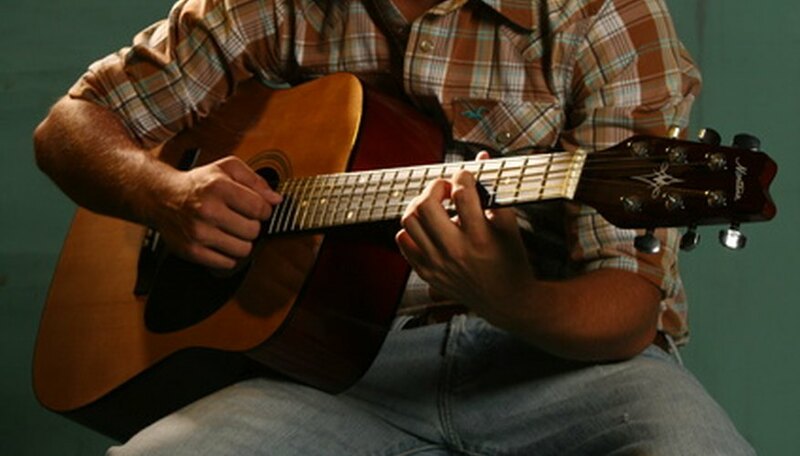 When your guitar is in E-minor tuning, it sounds out an E-minor chord without pressing down on any of the strings. You can tune your guitar to E-minor just like Skip James by making a couple adjustments to standard tuning. Tune your guitar to standard E-A-D-G-B-E tuning from the thickest string to the thinnest string. Tune the fifth string, the A string, to B. Play the A string and the fifth string, the B string, in quick succession. Turn the tuning peg on the A string until the note of the A string matches the note made by the B string. Your fifth string is now tuned to B. Tune the third string, the D string, to E. Play the D string and the first string, the E string, in quick succession. Turn the tuning peg up on the D string until the note of the D string matches the note made by the E string. Your third string is now tuned to E and your guitar is in E-minor tuning. Use a slide while playing to emphasize the blues style. Don't turn the tuning pegs too fast, because you don't want to risk breaking the strings.